Hundreds of thousands of consumers young and old will converge on the McCormick Place Feb. 9 through Feb. 18 expecting to see the latest and greatest in automotive technology and trends. 2019 marks the 111th edition of the show, where nearly 1,000 different vehicles will be on display. 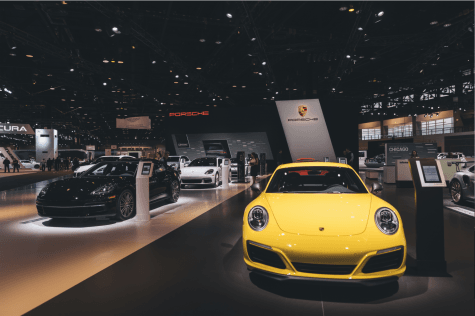 In the age where brick-and-mortar retail is crumbling, the consistent growth of the Auto Show is indicative of America’s love affair with the automobile. Historically, Chicago’s Auto Show isn’t the first choice to debut new products like Paris or Detroit typically is, but it champions a reputation for being geared toward the enthusiastic consumer rather than the press. With that said, this year’s show will feature an unveiling from Land Rover. “Land Rover is revealing the new Evoque, and they’re doing about a 15,000 square foot test track on the show floor, so we’re excited about that,” said Dave Sloan, president of the Chicago Auto Trade Association. The unveiling is accompanied by a visit from Jaguar Land Rover North America President and CEO Joachim Eberhardt. Eberhardt will deliver the keynote at the Economic Club of Chicago luncheon. The event, held on Feb. 7, hosts members and aims to provide a platform to discuss economic, business and social issues. The ECC has had a decade-long partnership with the Chicago Auto Show. “We look forward to a tremendous Chicago Auto Show this year as we debut the new Range Rover Evoque, an SUV built for consumers who live in great cities with often challenging weather conditions,” says Eberhardt in a Jan. 28 press release. Prior to each Auto Show is the First Look for Charity black-tie-gala. The gala provides the chance to get a first glimpse at the newest cars and trucks the industry has to offer on Feb. 8. Now in its 28th year, the 2019 First Look for Charity is expected to raise $2.5 million for local charities. The fundraiser has generated more than $50 million for the city since its creation. The Porshe display at the Chicago Auto Show at McCormick Place last year. The 2019 Auto Show includes beneficiaries such as: 100 Club of Chicago; Advocate Health Care; Boys & Girls Clubs of Chicago; Catholic Charities of the Archdiocese of Chicago; Catholic Charities of the Diocese of Joliet; Clearbrook; The Cradle; Franciscan Community Benefit Services; JDRF; Susan G. Komen Chicago; Ann & Robert H. Lurie Children’s Hospital of Chicago; Lydia Home & Safe Families for Children; March of Dimes; Misericordia; New Star; Special Olympics Illinois; Turning Pointe Autism Foundation; and Jesse White Tumbling Team. For the second year in a row, show attendees will have the opportunity to get behind the wheel of electric and plug-in hybrid electric vehicles. The Chicago Area Clean Cities Coalition, a nonprofit focused on clean-transportation solutions, is hosting the event made possible by the American Lung Association and Midwest EVOLVE program. Midwest EVOLVE stands for Electric Vehicle Opportunities: Learning, Events and Experience and has over 60 partners. The goal is to get more consumers behind the wheel of electric and plug-in hybrid vehicles. To them, automotive consumers need education and exposure to the next generation of clean energy automobiles. Attendees who wish to test drive electric vehicles can do so by registering during show days at the Chicago Area Clean Cities tent in the South Building at Gate 2.